La Belle Mariée is a company that has been catering to the brides of Missouri for years. This is why they have come to offer trial rates for wedding hair and makeup in addition to the on-site services that they offer on the actual day of the ceremony. Whether you are having a large formal gathering or a small intimate wedding, using this company to have your wedding makeup done will eliminate any stress and make getting ready a fun experience for you to enjoy. St. Louis Makeup By Betsy is a company that looks out for the best interests of the bride and her entire party. Betsy will listen to the look that you want and she can easily make it happen, but she does suggest a trial run of the look so you can be absolutely sure the colors and the application is exactly what you would like to have as your wedding makeup. 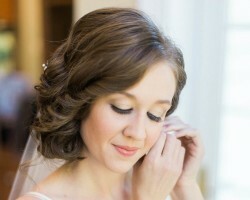 Betsy is also available to offer affordable on-site wedding makeup. Tara Lowry Makeup has been one of the best St. Louis makeup artists for the past few years because this company offers friendly, personalized service that always results in the bride and her party feeling beautiful. Tara uses a combination of low and high end products to save you money and ensure it feels like you are wearing permanent makeup rather than being worried about having to reapply. With prices that can suit any budget, you will be able to book Tara’s services for both you and your bridesmaids. Holly J. Hanak is there to take the stress out of getting ready for your wedding and to make you look and feel beautiful. You can hire Holly to focus on the bride’s look and styling, but she is also available to do the makeup of the entire bridal party. Her talents can easily be seen in the photos of her work or read about in the many positive reviews. Holly’s talent and outgoing personality should be experienced on your big day. 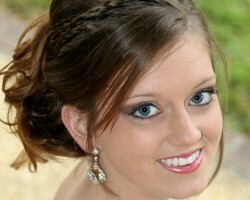 Looking great for your wedding starts with booking a talented makeup artist in St. Louis, MO. Style Me Beautiful, LLC is owned and operated by Liz. Not only does she have years of experience with bridal makeup, but she also has a keen eye for detail that means you will look flawless for your walk down the aisle and for the entire day. One of the best features of this company is that they have made their services affordable so brides and the entire bridal party can have their look done by a professional.